Bill was born in Grand Island. Bill is a 2nd generation funeral director from Palmer, NE. He attended Kearney State College and graduated from the Dallas Institute of Mortuary Science in 1976. He and his wife Darby moved to St. Paul in August 1989. 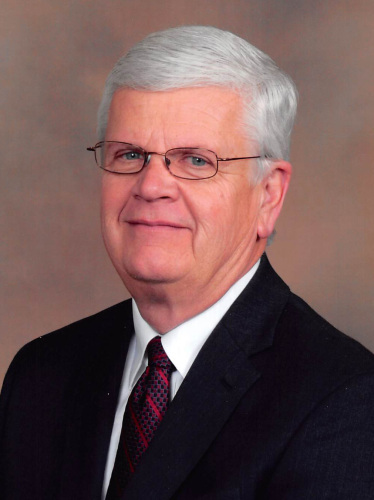 He became a partner of Jacobsen-Greenway Funeral Home in 2000, becoming sole owner in 2005. He and his wife Darby reside in St. Paul and have three grown children; Ashley and her husband, Jeff of Phoenix, Alex and his wife, Liz, of Lincoln and Austin and his wife Tracy of North Pole, Alaska and five grandchildren. 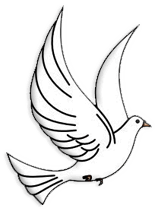 Bill is a member of the United Methodist Church of St. Paul, St. Paul Rotary Club, Nebraska Funeral Directors Association, and National Funeral Directors Association. 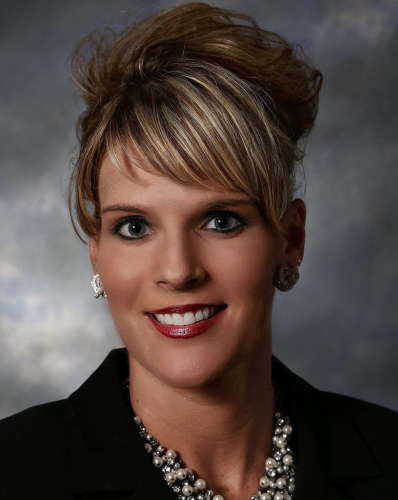 Tracey Dietz has recently joined Jacobsen-Greenway Funeral Home in St. Paul and Greenway Funeral Home in Palmer. Tracey has been a licensed Funeral Director and Embalmer in Nebraska since 2001, previously working in Lincoln and Grand Island. She was raised on the family farm in Garrison, North Dakota. She graduated from Garrison High School in Garrison, ND. She received her Associates Degree in Art and Science at Bismarck State College in Bismarck, ND. She received her Bachelor’s Degree in Mortuary Science at the University of Minnesota in Minneapolis, MN. Tracey is married to Dirk Dietz and the couple have one daughter, Scotlyn Rose who is in first grade at St. Paul Public School. Dirk is the General Manager for Howard Greeley Rural Public Power District. She has joined the Rotary Club in St. Paul and is attending St. Mark’s Lutheran Church in St. Paul. Bonnie was born and raised in Palmer, NE. She graduated from Palmer High School in 1968. She also earned a CMS certification and worked at the Coolidge Center in Palmer and for Midland Aging for a total of 32 years. She also worked at Palmer High School in the resource program as a paraprofessional. Bonnie resides in Grand Island and has two grown children and four grandchildren. Her husband Carl died in 2016. Bonnie is a member of First Church of Christ and serves as assistant treasurer and vice president of the Ladies Willing Workers and the Burton Beyer American Legion Auxiliary Unit #120 of Palmer. She also served on the Palmer Village Board. Bonnie helps with visitations and funerals. Bob is a lifelong resident of Dannebrog. He has been married to his wife Zonna for 46 years. They have two children, Dave and his wife, Shawna of Peoria, AZ and Dana and her husband, David of Laramie, WY and five grandchildren. He is a member of First Baptist Church in Dannebrog where he has served as an Elder and Jr. High Sunday School teacher. Spending time with his grandchildren, riding his Harley, bending a fishing pole and enjoying the state recreation areas in his camper are his favorite activities. Bob works as a funeral assistant. Brian is originally from Leigh, Nebraska but grew up in Fremont. He is a graduate of Fremont High School and Midland Lutheran College, with a B.A. degree in Biological Science and Physical Education. Brian works full time for the Nebraska State Fire Marshal Training Division. He is responsible for providing training for firefighters in twenty one counties in South Central Nebraska, but also travels state wide assisting Emergency Response organizations. Brian was a high school teacher before going to work for the fire marshal as a Training Specialist. He and his wife Janet moved to St. Paul in 2005 and have become actively involved in the community through their children Holly, Valaree, and Nicklaus. Brian enjoys hunting and fishing, dancing with Janet and doing things with his children that they enjoy. Their family loves to camp when they have the opportunity. Brian assists on funeral services.